With a wide range of practice areas, we are able to help you with whatever legal issue you face. We offer free consultations and payment plans to make sure you get the help you need. If you are facing any criminal charge, you need to act calmly but swiftly. Only a highly-experienced criminal defense attorney can preserve your rights and freedom. Issues pertaining to divorce, child custody, paternity, and more can be extremely stressful for you and your children. We will help you get through this. We offer free initial consultations, payment plans, and flat-rate fees. Call today! 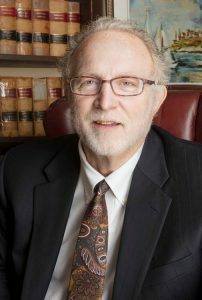 Bill Chapin graduated from the University of Nebraska at Lincoln in 1972 with a B.S. in Education. For the next several years, he taught at Creighton Community High School before returning to Lincoln to direct a dental screening program at the Open Door Health Center. In 1978 he left for Washington, D.C. to attend Antioch Law School. Take a moment to learn more about Bill’s educational and legal background. Chapin Law Office was founded in 1988 with the goal of providing the greater Lincoln area with affordable, professional legal representation. Since that time, we’ve built a solid reputation as a reliable and capable partner for those who value great customer service. We invite you to contact our Lincoln office today and find out more about what a difference customer-focused legal representation can make.